Bulbostylis capillaris plants. By Glen Mittelhauser. Copyright © 2017 Glen Mittelhauser. New England Wild Flower Society. gobotany.newenglandwild.org (Accessed 11/2017). 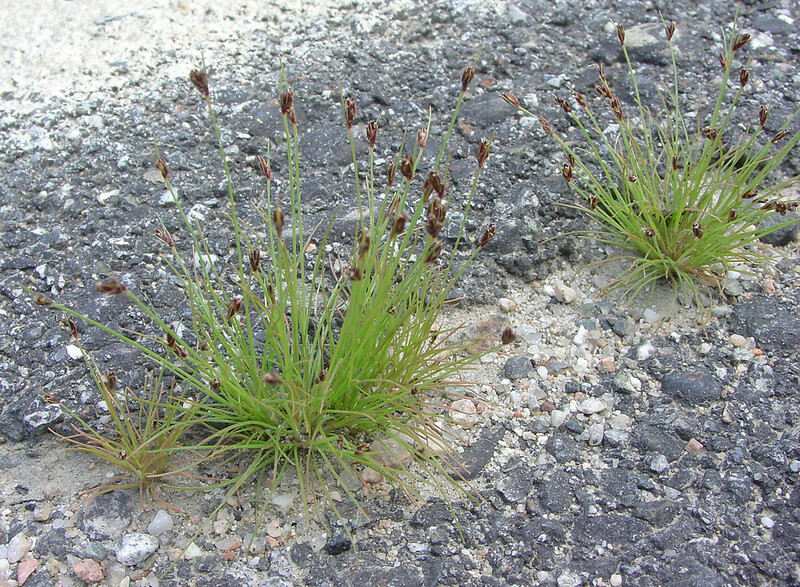 Bulbostylis capillaris is an annual, tufted C4 sedge (Bryson and Carter 1977), to 30 cm tall, stems and leaves thread-like. Leaves alternate, blade less than 0.1 cm wide, usually shorter than flower stems, basal or a few on lower stem; inflorescence bract small, or none, hair-like. Bulbostylis capillaris. inflorescences. By Arthur Haines. Copyright © 2017. New England Wild Flower Society. gobotany.newenglandwild.org (Accessed 11/2017). 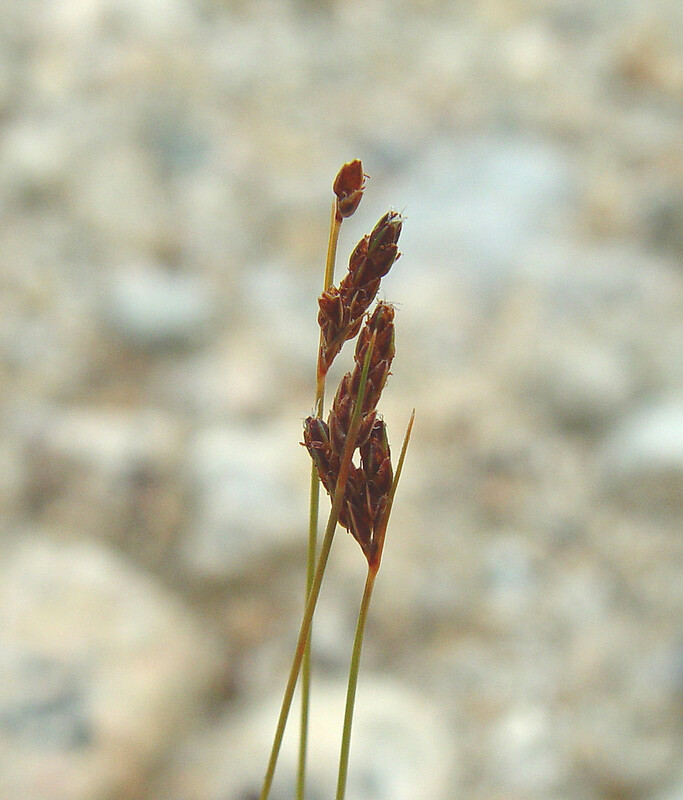 Flowers: Spikes 2-7, dark, 0.3-0.5 cm long, central spikelet stalkless the others with stalks less than 1 cm long, scales curved on back, often minutely hairy, margins purple-brown, midrib green to pale tan, anthers 2, achene pale tan to brown, minutely ridged, 3-sided; blooming and fruiting Aug-Oct.
Habitat: Open, dry, sandy soil, fill, disturbed areas. Possibly planted in some grassland restorations.